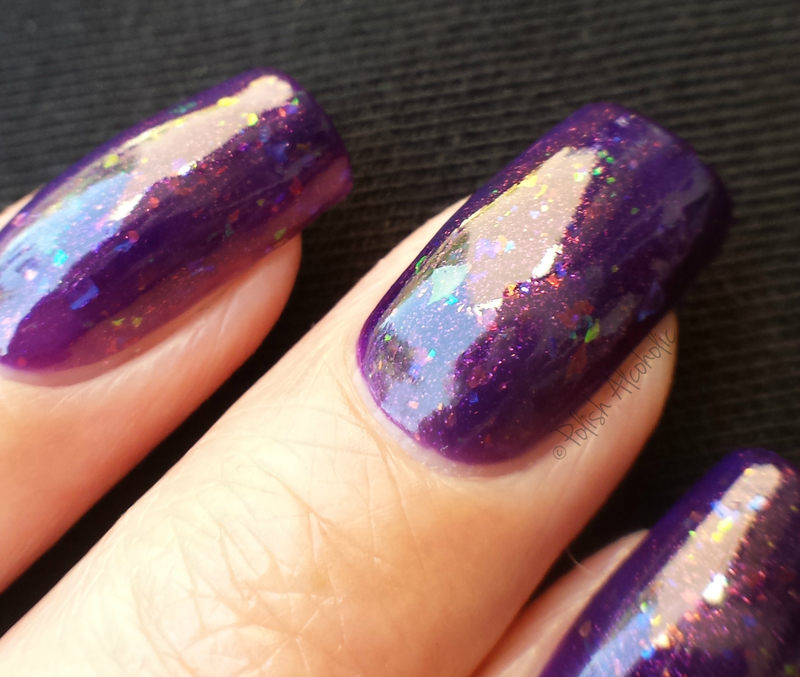 I picked up Light Box at Hypnotic Polish: Light Box is described as a black scattered holographic polish with (blue) color shifting mylar flakes. The blue flakes made me pick this one. It’s so pretty! The formula is on the sheer side but three thin coats, as shown here, will give you full coverage. I’ll definitely will be looking for more polishes of this brand. They are available at their website and at Hypnotic Polish. Have you tried Il Etait Un Vernis yet? And what do you think of Light Box?